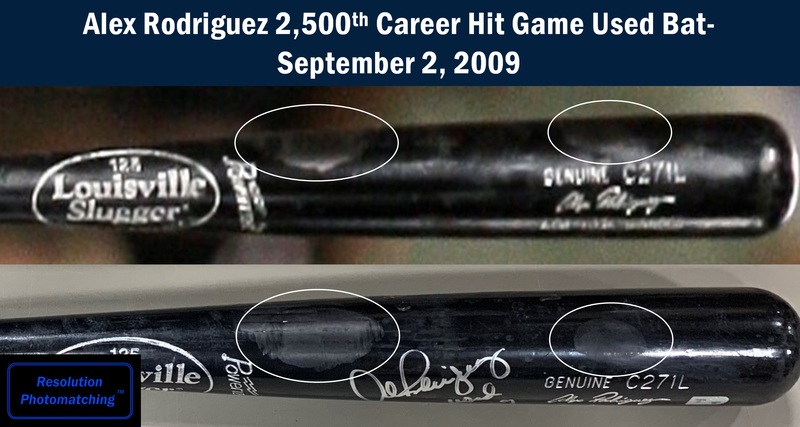 Already a member of the exclusive 500 Home Run Club in 2009, Alex Rodriguez continued to assault the history books by collecting his 2,500th career hit on September 2, 2009. Rodriguez smacked a solid line drive to center field off Baltimore Orioles’ pitcher Jason Berken in the top of the fifth inning. Rodriguez would collect three hits total and four RBI during this game as the Yankees toppled the Orioles 10-2 at Camden Yards in Baltimore. 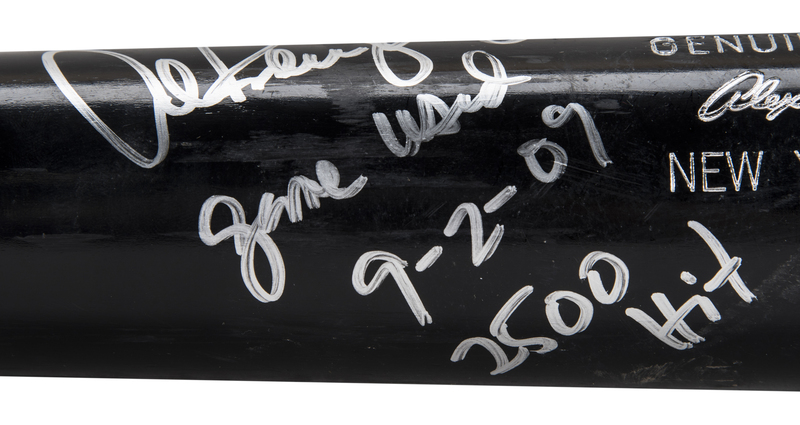 This is the very bat the Alex Rodriguez used to reach the 2,500-hit plateau. 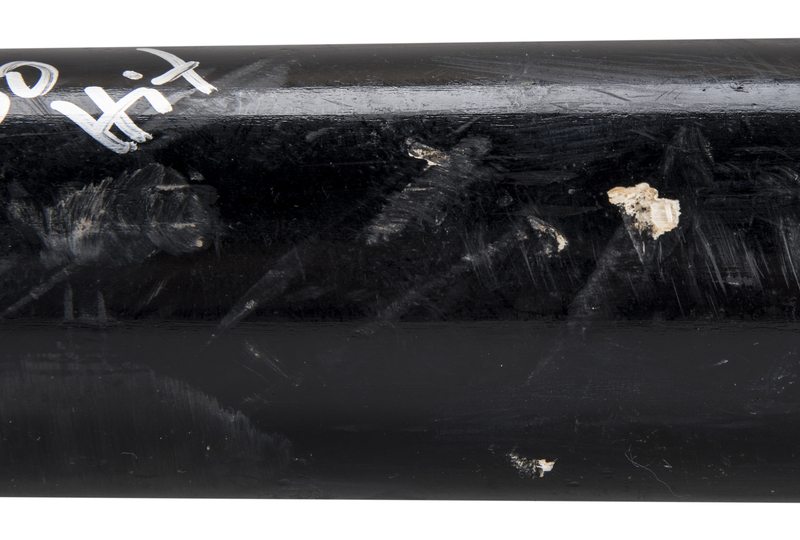 This Louisville Slugger C271 model bat displays outstanding game use and is un-cracked. 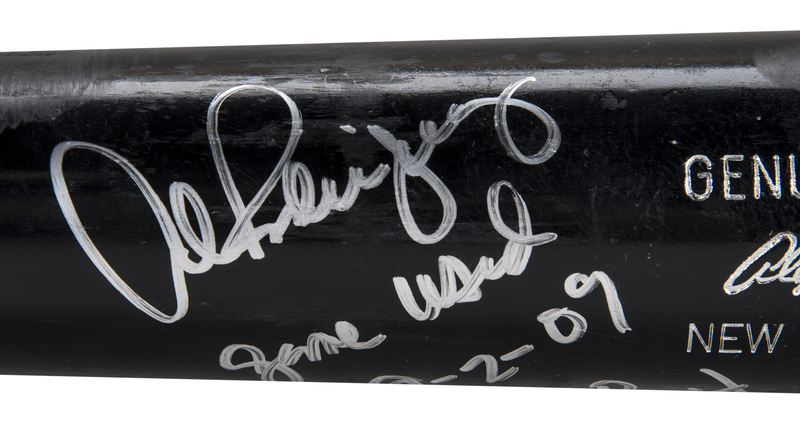 There are ball marks, blue ink transfers and slight checking or grain swelling from repeated ball contact present on the barrel. 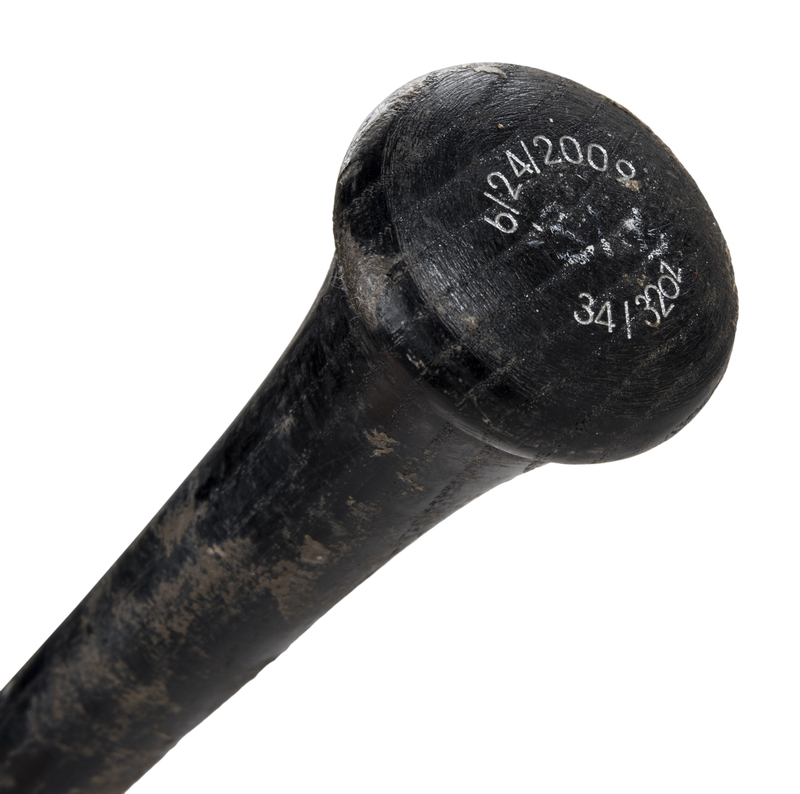 Other markings on the barrel include cleat imprints and some wood chipping. 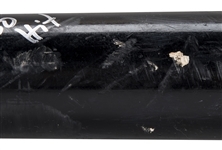 The lower handle has a coating of pine tar and the knob has stamped “6/24/2009” and “34/32oz” indicating the date of manufacture, length and weight. 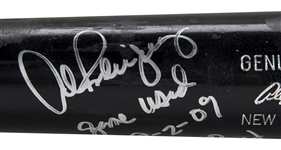 Adding to this historical bat is the bold silver signature of Alex Rodriguez on the barrel and the slugger inscribed “game used 9-2-09 2500 Hit”. 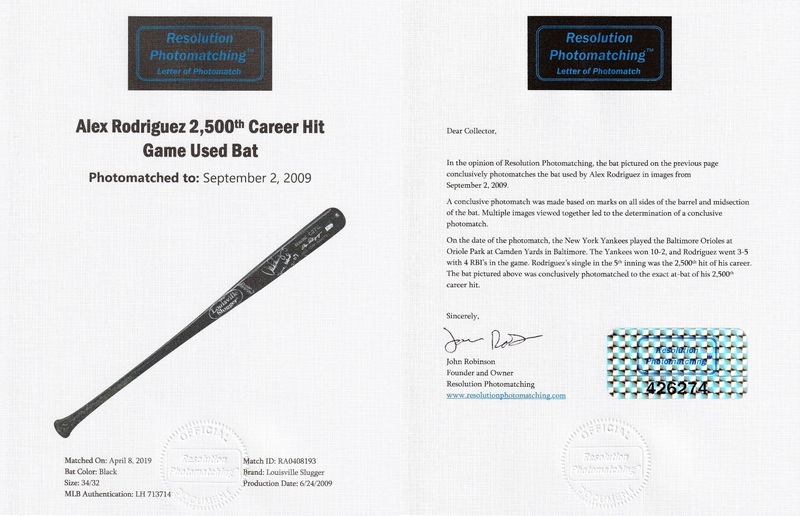 This bat comes with a MLB Authenticated hologram (LH713714) attributing this bat to the September 2nd, 2009 game and being Alex Rodriguez’s 2,500th hit. 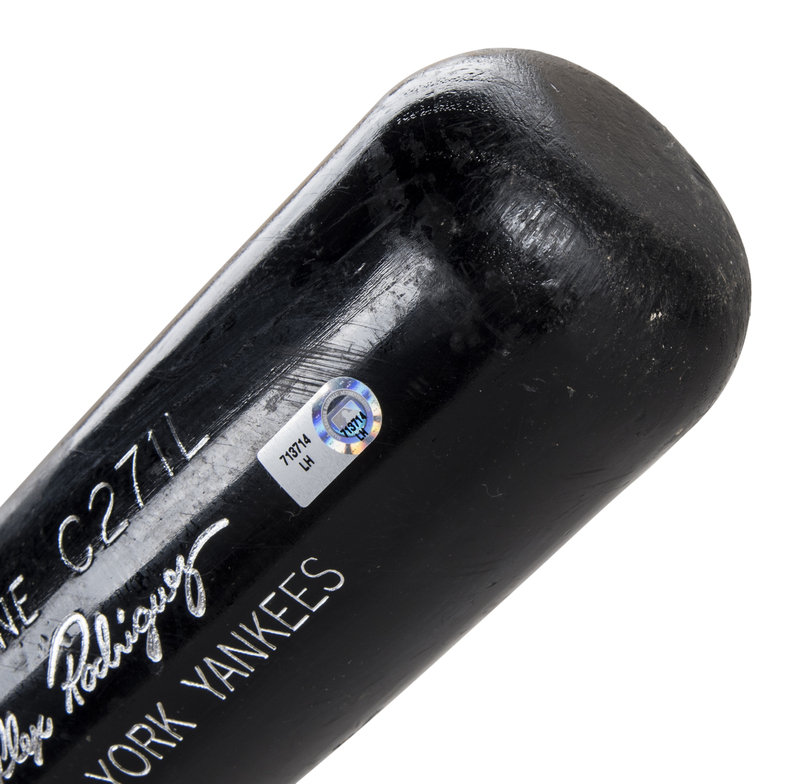 This bat has also been photo matched by Resolution Photomatching to the September 2nd game where AROD got his 2,500th hit. 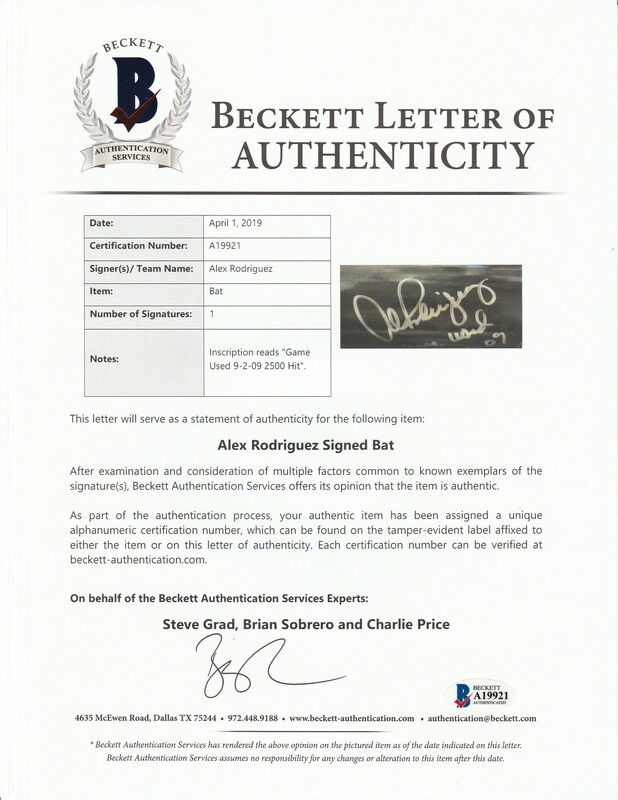 There is also a LOA from Steve Grad of Beckett Authentication for the signature and inscriptions. 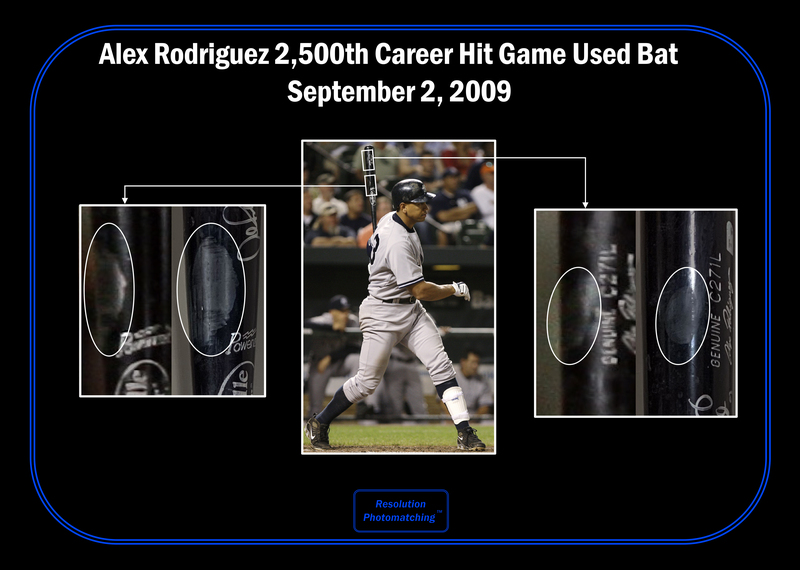 A terrific Alex Rodriguez gamer specifically tied to a milestone hit!